When not spending all my time on Warframe but will spare you the details on that awesome game. 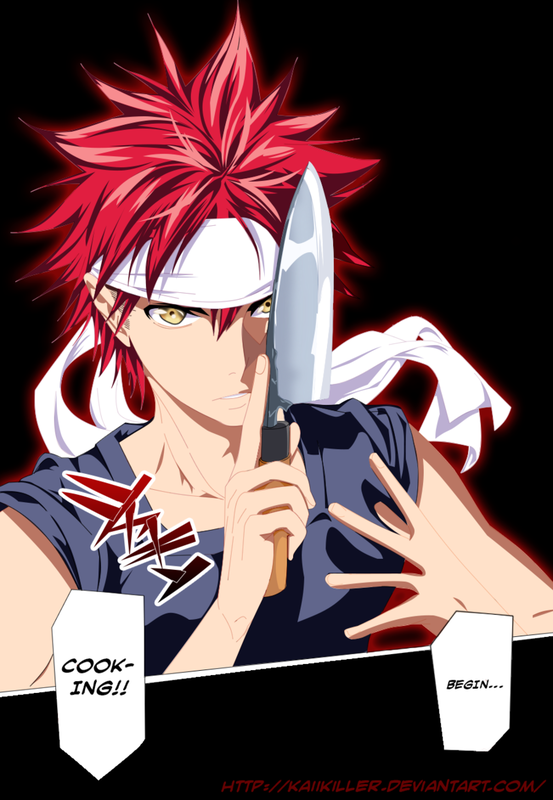 Cooking everything from Shokugeki no soma/Food wars manga thats what! And I am fully aware of the now airing anime of it, but dont know if I can bring myself to watch it, really dont want to spoil any of the manga. For those of you that dont know, I work in a kitchen and experiment with food at home, and not too long back I picked up food wars on pure curiousity in the new manga section. Have been in love with it since. So dam inspiring. From the first volume alone I tried a Fake roast (which i failed but now know how to fix), Morphing Furikake rice, which taught me how to make an Aspic (a whole day of cooking) and have made it a couple of times, oh and a Steak frittata. So far from the second volume I made Marinated pork belly onigiri, Chaliapin steak which I want to try again but leave the onions on for even longer, and just a few hours ago I tried the Mackerel burgers which were stunning. I plan to make Grilled seer with cabbage puree and so badly want to make Rice ball chazuke with seaweed tea.